This group of individuals was part of the first Lindsey Wilson College baseball team in 1981. They were on campus Saturday to celebrate their 35th year reunion as part of homecoming activities. 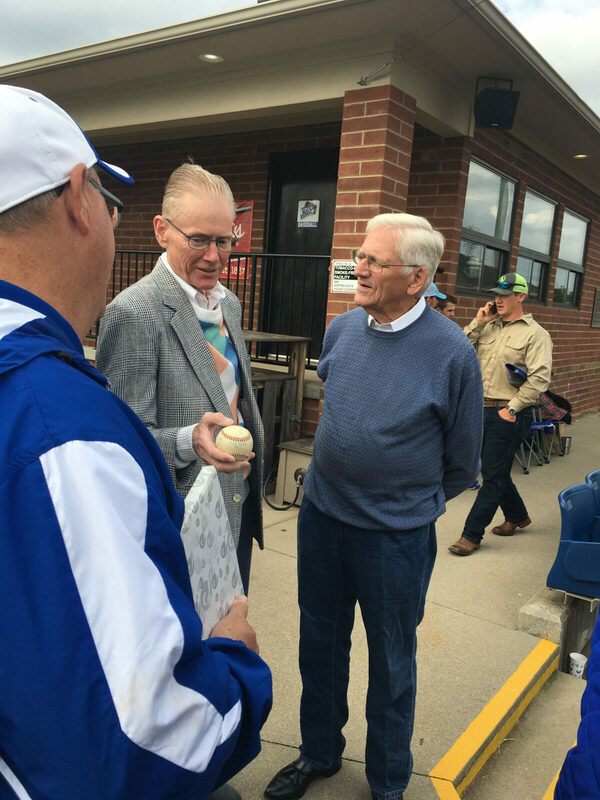 Mark Fudge a member of the 1981 baseball team looks on while Coach Bob Thrasher and former LWC president John Begley examine a baseball autographed by the 1981 team. Apparently no picture of the team exists making the baseball a rare collectors item. The 1981 team was recognized at homecoming activities over the weekend at the college.